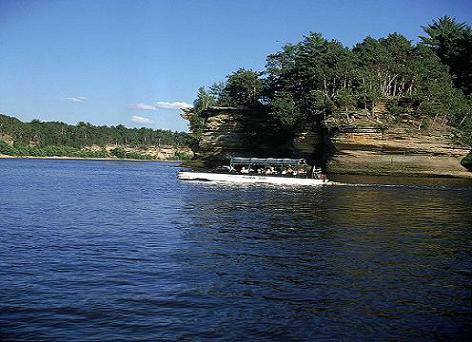 The tour on the Wisconsin Dells Ducks winds through beautiful scenery of the Wisconsin Dells. 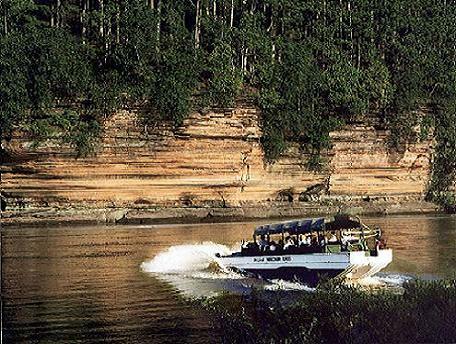 You will pass through narrow canyon walls of beautiful sandstone formations produced from the floodwaters of glacial lakes. You will travel the curves of Roller Coaster Hill and through Red Bird Gorge. 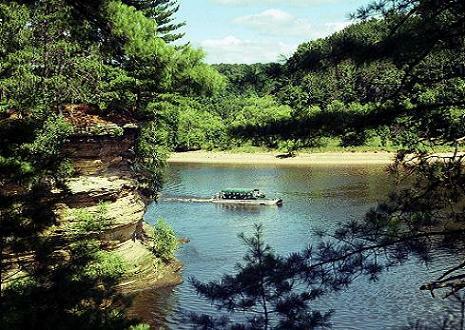 It is a one hour, 8 1/2 mile tour that includes two land and two water entries in the Wisconsin River and Lake Delton. Your awesome guide will explain all the historical facts of the area especially when you pass through areas of where Indian tribes once lived. 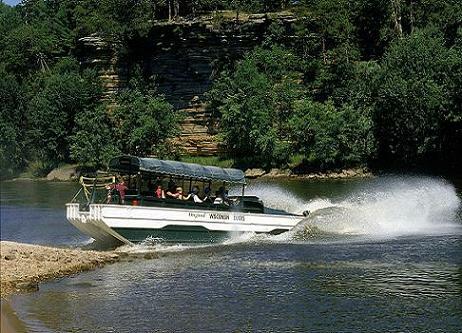 A trip to the Dells would just not be complete without a tour on the famous amphibious Ducks. Check out the website at Wisconsin Ducks for more information.